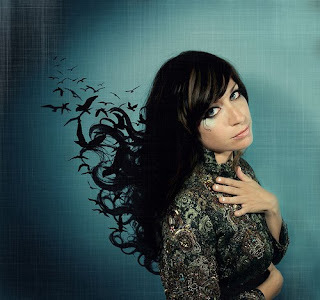 Nicole Atkins is the hottest singer no one has ever heard of. Sort of. The New Jersey native has performed on David Letterman's show while Rolling Stone dubbed her an “Artist to Watch,” not to mention she is considered a precious gem within the artistically bejeweled city of New York. The 29-year-old's debut album with Columbia Records is inspired by her hometown and shares its name with the New Jersey seaside enclave: “Neptune City,” just down the road from Asbury Park in a state known as the land of Bruce Springsteen and Bon Jovi. “There are a lot of dark, melancholy moments,” said Atkins while adding that the instrumental conclusion of “Cool Enough” - which could pass for a Sigur Rós tune - is her symphonic interpretation of the weather and landscape in Sweden's city of Malmö. These days, Atkins has come to appreciate her roots and anticipates her visits home following her touring stints. At the age of 13, Atkins found a weathered guitar in the attic that once belonged to an uncle who died when she was young. She learned to play it and eventually left for college in North Carolina where she studied illustration at U.N.C., Charlotte and played three years in the band Los Parasols. She finally returned to the East Coast to make a name as a solo artist within the New York City music circuit playing in pubs and living back at home in Neptune City. Note: the following music stories are archived based on their publication date.